My site displays OK in site builder preview but none of the images display when viewed live, is there a problem with Yola. This is urgent as my site looks terrible. Looking at all my friends' websites with yola they all have it too. We are aware of the problem and our engineers are fixing it now. We will let you know when it has been resolved. Thanks so much for your patience and understanding during this time. We seem to have encountered a brief problem which caused images not to display on your published sites. They should be showing again, but we are continuing to monitor the situation. Please reload your site and let us know if you have any further difficulties. On my guestbook and contact us pages I have 2 wufoo forms both with custom submit buttons, since the problem this morning the 2 buttons will only display with firefox and not IE. I have been on the wufoo site and republished the buttons but its still the same. I have taken a look at this in Firefox and IE and see what you are seeing as well, the buttons do not display the same between the two browsers. I believe this would be an issue on Wufoo's side as the code is embedded so the image is being pulled from Wufoo and not from Yola. The problem we were having earlier was due to images stored in the Yola File Manager. I am going to check around a bit, I would say another good thing to do would be to request some help from Wufoo on this, possibly there are other people who are having the same problem. They are now not displaying with firefox either. Are you still having this problem? Can you let me now if you are still seeing the issue and on which page. We have the same issue happening now. It's the same issue that was happening yesterday. We have tried republishing our site several times without any tangible results. Are you still having this problem. If so, can you please give us a link to your site and we can take a closer look. I am having the same problem with images are not displaying, I have un published & published several times with no success at all. It looks like it's resolved. Might have taken some time to propagate? Everything seems OK at present in both browsers, thanks, just for your info I don't think this was a problem with Wufoo as I host an image in file manager which I use for my personal signature in hotmail and several other images used else where and these were all lost at the same time. The Wufoo images are also hosted in file manager and not by Wufoo themselves. Oh, well then yes, if the images are hosted in your File Manager and you are pulling them into your Wufoo form in some way then yes this could have been relational to the trouble we experienced. Thanks for letting us know this is now working for you. I'm sorry to hear you are still having trouble with this. Can you please try re-publishing your site and see if that makes a difference. I understand the urgency in getting your images to show on your site. I have had a look at your site to see where the problem may be. It looks as if all the MS Word code is stripped from your site now. I am investigating some more and will let you know as soon as there is any progress. I have some good news! Our engineers took at look at your site and found a technical problem on our side. They have fixed it and your pictures are now showing up on your site again! Can you please check your site to confirm that you can see your pictures on your published site? If there are problems, please let us know. Good luck with your dog rescue organization. It is all showing fine now, thanks to you all for your time in helping me get it sorted. There may be the odd glitch & problem occasionally but I do love Yola & the support, keep up the good work. Thanks vex, that means the world to us! I'm still having problems with my 2 Wufoo custom buttons on my site and with the images hosted in file manager which I'm using elsewhere, sometimes they display sometimes not, please can this be addressed urgently as they are all related to my business and things need to look spot on. Would you mind sharing your url (web address) so that we can take a closer look at why it is not working. If you are not comfortable posting your url in a public forum, please send us an email at support@yola.com and we will assist you via email. 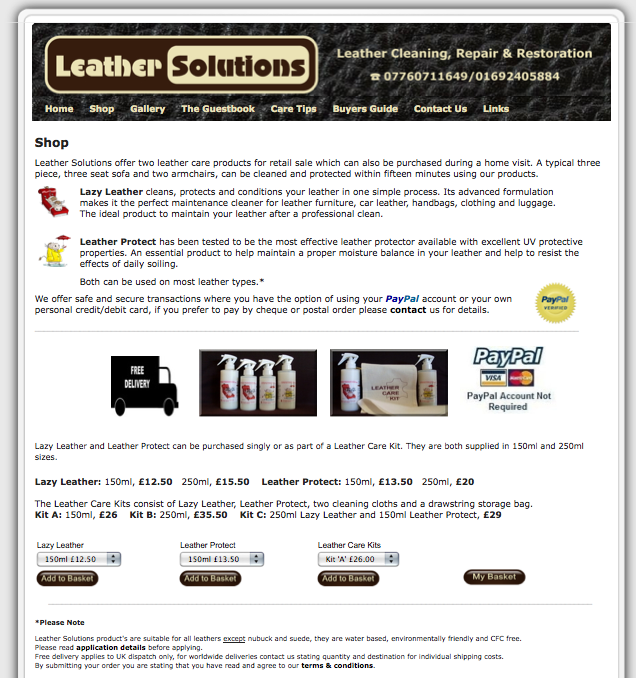 My url is posted above in my other replies/answers its http://www.leathersolutions.org/ if you look on the shop page there are 4 custom paypal buttons, as stated above the 2 Wufoo forms on the guestbook and contact us pages should have 2 custom submit buttons in the same style but both are only displaying the default text. In addition the image hosted in file manager for my hotmail signature is not displaying and on this site http://www.northwalshamguide.co.uk/di... which should be displaying several images which are stored in file manager isn't displaying anything even though some images are shared with my site and they do display correctly. This has only happened since yesterday so has to be related to the same problem. Thanks for re-adding your site's link. I missed it in the thread above. I think you may need to clear the cache in your browser, as it may be storing outdated information when you view these sites. If you are still unable to see your images after clearing cache, please let us know. Thank you for your time Nazlie, I to have seen them all displaying correctly this morning, I seem to check and they are there and 5 minutes later check again and they are not there. I am seeing them now before I've cleared my cache, I will follow your advise and post back if the problem persists. Thanks for adding the screen shots. Can you please try to use a different browser to see if it displays the pictures? It may be a network or ISP problem on your end, as I am still able to see the pictures on both sites. If you have more trouble with it, please let us know again. Theres not much more I can do, I've just watched some TV via the internet so I don't know if I have any ISP/network problems, I would guess not? I have just made an interesting discovery, the images on the North Walsham Guide page and the two buttons on my guestbook and contact us page will only display when I am logged into my Yola account, as soon as I log out and refresh the relevant pages the images dissapear, I have now tried this 3 times with the same results in both firefox and IE8. I've also noticed the images have 'restricted_view' in the url, I can't remember seeing that before? Thanks for sharing that information. 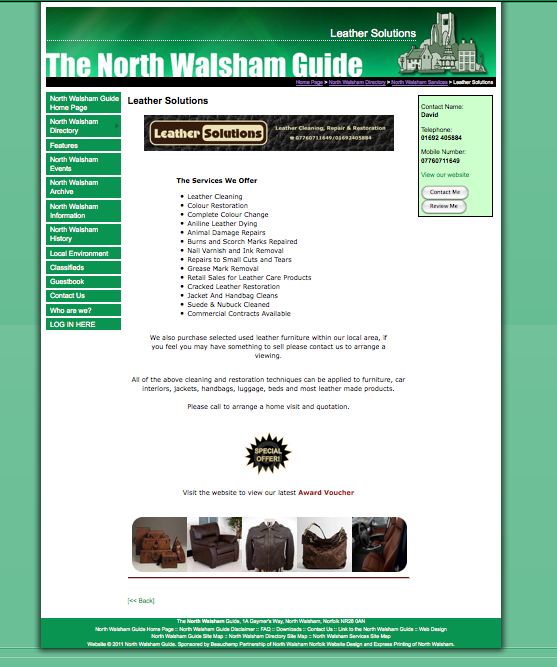 The North Walsham Guide is not a Yola built website so I am not able to say what the problem is there. Can you tell me where you are seeing the 'restricted_view' in the URL, are you speaking of the source code? Can you paste the specific URL you are seeing here so that I can take a look at it. Thank you! Please could you read my other posts as all I seem to be doing is repeating information which I have already written. I am aware the North Walsham Guide is not a Yola site but as stated the images I use on the site are hosted in Yola file manager as the guide has no facility to host images. As stated the image I use for my hotmail email signature is hosted in Yola File manager as hotmail has no facility to host images. As stated the images I use for my two Wufoo forms are hosted in Yola file manager as Wufoo has no facility to host images. I appreciate your help Emmy and realize this is not your doing but all this has started because of the problem Yola had yesterday with the images not displaying. This has took up alot of my time today and having to repeat information is not helping my irritation levels. I set out the reason for this problem in my last post 5 hours ago and we are now no further forward. I can understand this is frustrating and I would like to help. I'm apologize that I overlooked that you had already stated that your site is hosted elsewhere. It's a possibility that if you are hosting images in Yola and using them elsewhere that it might be a problem with the other website code or the path being incorrect. I can look at the source code of the other site, but cannot look in the website builder. Can you please tell me the exact names of a few of the files that are not displaying and I will test the URL of the images and see how they work. I can also go to the other site and view the source code and see if the image path is correct, I just need the exact image names. Thanks for working with us on this, we are doing our best to help you. I was using the image location url to place the images at the other locations which worked until yesterday I will try with the image url and see if that makes a difference. Problem solved, I used the image url and everything is back as it was. I'm puzzled though because for months the images have displayed correctly with the location url all I did was go to file manager, right clicked and copied image location then pasted in the other locations and its been working until Saturday. Thanks for the update! We are glad to hear that everything is working properly again for you. Some of my Images do not display at all too! What can i do against that?